The services provided by Computer Business Solutions will always go beyond your expectations. With great attention to detail and pride in our performance, our staff will never disappoint. 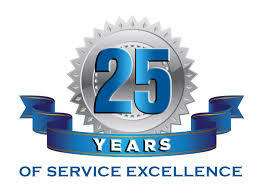 Computer Business Solutions has been serving the Western Slope of Colorado and surrounding areas for 25 years. With a highly skilled team of technicians, we are more than capable of exceeding your needs. Decades of combined experience and the ability to draw upon each others strengths are what have kept Computer Business Solutions on top for so many years. Our custom ﻿computers ﻿are built to last. Using only the best components, we offer a solid computer at a competitive price. Best of all, we give you choices and service that aren't available from on-line merchants or big box stores. Computer Business Solutions was rated #9 in Colorado for Computer IT Services by Top Rated Local.